In a recent visit along the Pak-Afghan border, I found growing evidence that the battle hardened Islamic militants had regrouped with a vengeance. It should have come as no surprise: last year the Taliban insurgency had set a new record of over 4,000 people killed. Although the Northwest Frontier Province has traditionally been more conservative than the rest of the Pakistan, I discovered that Islamic militancy had grown almost reflexively in proportion to U.S. bombardment in the region. Walking along the dusty broken roads of Frontier’s capital city, Peshawar, dodging smoke emitting rickshaws and vehicles speeding recklessly toward me, I went through public spaces which swarmed with men. An occasional shuttlecock burqa (veil) was the only indication that a woman was at hand. The `azaan’ (call to prayer) resounded in the antiquated city, throwing up a unique spectacle: male congregations knelt in prayer in corridors of office buildings. It was the backdrop for the militant Islamic clerics and Taliban supporters I would meet, who encouraged jehad (holy war) against `kafirs’ (infidels) and Western troops in Afghanistan. Women activists, under siege, told me that the self-appointed "morality police" had sprayed black paint on female images atop signboards. Wiped clean, the billboards looked embarrassingly akin to gaping mouths without teeth. The coalition of Islamic parties which now controls the Frontier parliament subsequently had the images of women replaced by young men. It was for me, a woman journalist based in the U.S., a metaphor of how women had been removed from the public space. Despite my modest Pakistani outfit – baggy trousers, tunic and scarf – my gaze occasionally met the hostile, commanding stares of Pashtun men and the frightened glances of women peering behind encompassing veils. Their glances said it all. "What was I, an outsider, doing in Peshawar? As a former daily reporter in Karachi, now living in Washington D.C., I had come to explore how U.S. troop presence had changed the region. I had last arrived here in November 2001, when Peshawar crawled with Western journalists. Equipped with cameras, microphones and fixers, the media had used the city as a gateway to the U.S. bombing of the Taliban in Afghanistan. Then, it had been hard to find a room in the Pearl Continental hotel. This time, I found the hotel strangely empty. It was as if women and Westerners had been erased from the public view. Quickly, I discovered that Islamic militancy had grown in proportion to U.S.-Pakistan military action in the region. Since September 11, 2001 Pakistan has battled the Al Qaeda and Taliban militants, who resettled in its tribal border areas of Waziristan to flee U.S. bombing in Afghanistan. Pakistan has paid a heavy price for its involvement: hundreds of soldiers and ordinary people have been killed and there has been a major setback to economic activity. Since January 2007, there have been several suicide attacks in the Northwest Frontier Province – some of them high profile because of their targeting of major cities, hotels and airport. Those attacks were reportedly in retaliation for U.S.-guided strikes on militant hideouts in South Waziristan. That recently forced Pakistan to send emissaries of an Islamic party to make peace with militants from the Mehsud tribe -- with whom the army had struck a peace deal in 2005. In Peshawar, I interviewed a potential suicide bomber, Mohammed Zakaria from Charsadda district in the Frontier province. He was your average Pashtun, fiercely indignant at U.S. presence in Afghanistan. In 2001, when the U.S. bombed the Taliban, the young man had moved back and forth along the Pak-Afghan border mobilizing support against the `infidels’. Zakaria told me the NATO offensive in Afghanistan had people queuing before Mullah Dadullah, requesting that they be enlisted as suicide bombers. 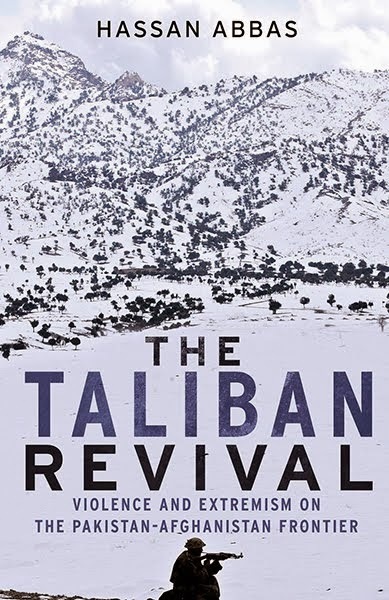 Dadullah, counts as the mastermind of the Taliban insurgency, with a web of connections with tribal militants and organizations as diverse as the Islamic Union of Uzbekistan. "The truth is that we cheer every time we hear that the NATO troops have been killed in Afghanistan," my source told me with disarming frankness. My contacts told me that in the last few years, the Taliban had resurfaced in Waziristan tribal areas to murder hundreds of `maliks’ (tribal leaders) on charges of "spying" for the Pakistani state. Small wonder, it has terrified the tribal leadership and made them impotent against the erosion of their authority. Fear of the Taliban was evident in the gray green eyes of a hereditary tribal chief from the Dawar tribe in North Waziristan. It was warm in Peshawar, where my contact had traveled to meet me. Still, I suspected it was the heat of his narrative, which made him take off his spectacles to wipe his perspiration. Lowering his voice in a room that was empty and locked, he described the Taliban’s treatment of those believed to be working for the government. "I have seen them cut off heads in front of my eyes," he said with a tremor in his voice that stirred me with its intensity. The Dawar man was among the hundreds of thousands of Pashtuns who have suffered "collateral damage." Last year when the Islamic insurgents fired upon the military’s check posts in North Waziristan, two of his sons were injured in cross-fire. Not surprisingly, my contact supported the North Waziristan peace accord signed in August 2006 between the Pakistan government and area tribesmen. Since then, the Pakistan military has wound up its check posts and moved 80,000 troops to the Pak-Afghan border. With undulating hills that join seamlessly with Afghanistan, North Waziristan had until last year suffered some of the heaviest fighting. All this has come at the price of a stronger Taliban. With grudging admiration the Dawar man told me how the Islamic vigilantes, once under attack, had returned to bring iron rule to his war-torn area. They had won over locals by administering brutal punishments for theft, kidnappings, dacoits and drug smugglers – including publicly hanging offenders. Today, billions of dollars and hundreds of casualties later, the Taliban in Pakistan’s tribal belt have won the breathing space to cross over the porous Pak-Afghan borders and attack Western forces in Afghanistan. It has left NATO troops anxious about the spring offensive, when the snows melt and a Taliban onslaught is expected from Pakistan’s tribal belt. In a tribal region, where Pashtuns are related by blood and for whom the borders between Pakistan and Afghanistan are meaningless, it is unrealistic to expect that Pakistan can stop them from doing so. My sources told me that the Mujahideen commanders of the Cold war days, Gulbuddin Hekmatyar and Jalaluddin Haqqani now direct the offensive from the tribal border areas. Once supported by the U.S. as they fought the Russians in Afghanistan, the Mujahideen have now thrown their lot with the Taliban. They allegedly move around freely in Pakistan’s tribal belt and recruit fighters in Afghan refugee camps. Barely whispering, as though he was letting me into a state secret, the Dawar man told me, "I’ve seen Jalaluddin Haqqani, the former Afghan Mujahideen commander move his belongings around the neighborhood. I knew the same Haqqani in the 1980’s when the U.S. officials came to his house in Peshawar." I asked him whether it was true that the Taliban were spilling out of the Waziristan tribal belt to the rest of the Frontier province. "They already have their representatives in the Frontier assembly" he replied slyly. I knew he was referring to the coalition of Islamic parties, the MMA, which commands a majority in Pakistan’s frontier province. One MMA component, Jamiat-I-Ulema Islam (JUI) chief, Maulana Fazlur Rehman is now Pakistan’s leader of the opposition. In the 1990’s, Fazlur Rehman’s group trained young Pashtuns in Pakistan’s `madressahs’(Islamic schools) – in what emerged before the world as the Taliban. Today the JUI negotiates with Islamic militants in the tribal belt on behalf of the Pakistan government. I had heard that Islamic militants were tech savvy. This latest text message appeared to be proof. In a region where the U.S. has become synonymous with the devil, it was obviously a warning to me – notwithstanding my being an independent journalist -- not to dare investigate. Changing my direction, I traveled instead along the barren gray hills of Kohat – on the cross-roads to the tribal areas of Bannu and the infamous arms market of the Cold War days, Darra Adam Khel -- to meet a former member of the National Assembly and Chairman World Jehad Council, Javed Ibrahim Paracha. A well-known figure here, Paracha lives in an antiquated combine of homes with `purdah’ (veil) observing women. I was ushered into the room reserved for male visitors. With his long heavy beard and watchful darting eyes, Paracha studied me shrewdly. He just returned from the Peshawar High Court after defending Osama Bin Laden’s Quranic teacher. That was apparently routine. Paracha is a tribal leader from a village called Dhara Dhar, near Tora Bora in Afghanistan. As the head of the World Prisoners Relief Fund, he had a reputation for repatriating suspected Al Qaeda militants to their native countries. The burly Sunni Wahabi tribal leader told me that in November 2001, he filed a legal challenge against the Pakistan government’s arrest of Arab Muslims as well as Christians and Jews caught in cross-fire in Afghanistan. That fetched him a snub from the princes of Kuwait and Saudi Arabia. "You seem to be worried about the `kafirs’ (infidels). How come you don’t care what happens to the Muslims?" But that was exactly what Paracha had been aiming for: he used the same court order to secure the release of thousands of Muslim militants lodged in Pakistani prisons under the Foreigners Act. Proudly, he told me he arranged their repatriation to Arab homelands – and they returned the expenses after reaching their destinations. 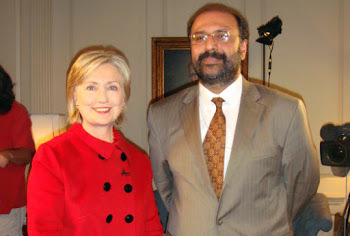 Seeing he was so well-informed, I asked, "Where is Osama Bin Laden?" Paracha had been expecting the question. Enjoying the dramatic effect of his narrative, he told me that a government official had indicated to him that two of Bin Laden’s children – from multiple marriages – were studying in a school in Hyderabad. "His cook was arrested shortly thereafter," he added. "Now I can point to you houses in Peshawar, Kohat, Malakand and Islamabad where the foreign Mujahideen live. The government is trying to achieve a compromise with militants so they don’t take up arms in the public sphere. But with Russian and Chinese arms, the Mujahideen are today in a stronger position." Traveling around the Peshawar region, I asked politically aware Pakistanis about the whereabouts of the infamous Bin Laden. Government officials I met typically responded, "I can assure you that he’s not in Pakistan." "Why he’s in Washington, where you are!" I traveled through the noisy, lawless traffic in Peshawar to the Civil Secretariat to meet the government appointed Secretary Law and Order of the Federally Administered Tribal Areas, Arbab Arif. A bureaucrat, down to his crisp white waistcoat, he reacted in almost knee jerk fashion to my observation that Pakistan’s peace deal in the tribal areas seemed to have strengthened the Taliban. Skillfully disputing the usage of the term `Taliban’ for Pakistani militants, he merely conceded they were students of Islamic schools. The government spokesman told me that the Pakistan military had made peace with the Utmanzai tribe in North Waziristan only after receiving guarantees that they would not allow a "competing administration." He flatly denied that the peace deal had given the Islamic militants breathing space to join the insurgency in Afghanistan. Instead, he talked tough: the Pakistan military could redeploy its troops any time in its tribal belt. Despite these measures, it is apparent that the Pakistan government has painted itself into a corner. Its spokesman admitted that the military had to "revisit" its policy after finding that its operations in the tribal belt had only whetted the Pushtun capacity for revenge and swelled the ranks of the militants. The Awami National Party (ANP), a secular party of Pashtuns in the Frontier Province is best positioned to examine the policies of the Pakistan military after September 11. The party, which has inherited the pacifist philosophy of its founder Khan Abdul Ghaffar Khan – also known as the `Frontier Gandhi’ – describes the resurgence of the violent Taliban as a ticking time bomb in the region. I met the tall, strongly built ANP chief, Asfandyar Wali at the fortress like Bacha Khan center in Peshawar, named after his grandfather. The imposing center, with libraries and conference rooms offers a sanctuary from the chaotic world outside. Asfandyar minced no words in criticizing the government’s claim that it had negotiated a peace deal in the tribal belt: "They have won the peace of the grave-yard." The ANP chief told me he sees a discrepancy in the military’s actions and the situation unfolding in Afghanistan. "If the government claims it has stationed 80,000 troops along the Pak-Afghan border, why does the top NATO commander report a 300 percent increase in infiltration after the peace accord," he asked rhetorically. Back in the U.S., I read that a suicide bomber had blown himself up at an army recruiting camp in Dargai, near Peshawar, killing forty eight young men. That was in retaliation for a U.S.-backed bombing attack on an Islamic school in Bajaur tribal region which killed 84 people – many of them innocent children.